Even as they are being celebrated as entrepreneurs who managed to garner a valuation of $1.4 billion for their bootstrapped enterprises that had no external funding, Turakhia brothers do not believe in chasing valuations. 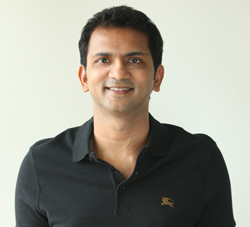 In an interview with Techcircle, Bhavin Turakhia, the elder of the two siblings, says chasing value is the route to building enterprises that can command high valuations. The two brothers were in news this week after Media.net, an ad-tech company they set up in 2010 was bought by a consortium of Chinese companies for $900 million. This wasn’t the first time, the brothers sold a bootstrapped company and made millions. In 2014, Endurance International Group, a provider of cloud-based SMB solutions, had acquired their flagship firm Directi group’s four businesses for $160 million. Alongside his entrepreneurial journey, Bhavin also speaks of the me-too culture, wrong priorities and fuzzy business models among startups in India, and the need for constructive consolidation in the industry. Arguing that the two brothers have too many of their own investments to manage, Bhavin says they will not be making any aggressive investments in startups but will soon set up a family office of their own. How did you manage to build scale in Media.net without any external funding? It is unheard of and I haven't heard of bootstrapped set of organisations reaching $1.5 billion valuation anywhere (in the world) not just in India. I always tell everyone to focus on building value and not valuation. People are always focusing on the next big valuation but I think valuation is the by-product. If you keep chasing valuations, you are not going on focus on creating value. If you focus on creating value, valuation will automatically follow. We have always built businesses that are profitable, sustainable because they generate value. As each business is profitable, it can fund our expansion into other business areas without requiring significant external investment. At a time when startups across the world are dying by the dozen and others are struggling to stay afloat, which secret recipe you have used to keep growing your businesses and valutions? I have a simple formula of spending money in order of priority – it is people, product and PR. I am not going to pay customers to use my product but I am going to spend money hiring the best people in Directi. The second chunk of money I will use in building the best product. The third chunk I will use to create the best PR around it. After that, if I have any money left I will spend it on advertising or something else. What is happening is the opposite. The people are spending lesser money on people and product and spending more money on advertising, cash-back and discounts. How many businesses do you currently run? Divyank is running Media.net, which is a completely separate business from Directi. I run four businesses, the first one of which is Flock, an enterprise messaging software which enhances workplace productivity. The second is Ringo, which is a telephony service; the third one is Zeta which is in the tax benefits and payroll optimisation space. The last one is Radix which is a domain registry business. These four businesses are entirely operated by me right now. Only Radix is profitable, rest of the businesses are new, so they will take little bit of time to get there. What next do you have in mind for Media.net? Divyank will continue to run it, he is founder and CEO from the last five years and he will continue running and growing the business. We also have the opportunity to enter China and leverage our technology and explore couple of new product opportunities. Divyank and his team will continue to work towards it. Any plans to invest in startups? Currently, we are not really investing in startups aggressively. There are small investments but nothing fancy. Right now, we are focusing on our own businesses. I am too busy running my four businesses. Have you also thought of setting up a family office? Yes, we would be certainly looking at setting up a family office and honestly, we should have done this three years ago. We just haven't had the time. That’s the only issue but we are definitely looking to do that at some point. What are the sectors in the startup ecosystem that interest you? I find biotech interesting. I love that space and I have been doing a lot of reading on that space. Artificial intelligence is another space I think which has good potential and also, virtual reality. What are your views about the Indian startup ecosystem? I think there is a lot of opportunity for consolidation. I think India is a good market but there is too much competition, there isn't that much value creation. I am not a fan of this unhygienic trend of continuing to compound losses on a continuous basis to try and grab customers because I honestly believe that if you are adding value, at some point you should be able to command a value for your product. I am not a believer in this notion of continuously subsidising the customers. What is your three-point advice for young entrepreneurs? The first one is focus on creating value and not valuation. The second is that you should hire the best and third advice will be to never give up.